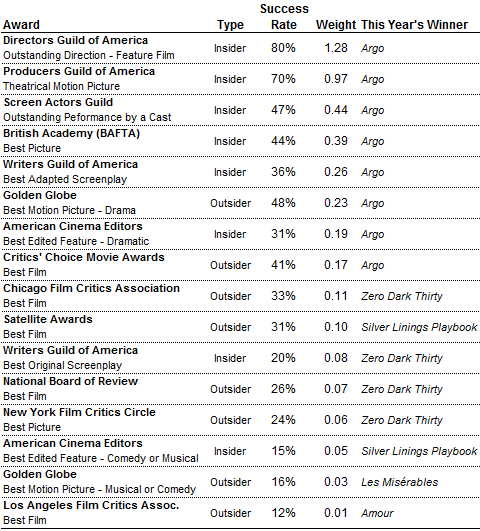 top awards given out by Hollywood directors, producers, actors, writers and editors, all of whom will also vote for the Oscars. It also won the Bafta (British Academy of Film and Television Arts) award for Best Picture, whose membership has significant overlap with the Academy. ics, historically the least reliable.